I don’t usually stop to think where my drinks come from, but the other day I was drinking a chai and my mother-in-law asked me what, exactly, is chai? I told her it was a tea, but that’s about as far as I could get. But now I was curious. What is chai? Where does it come from? And why is it so delicious? Chai is over 5,000 years old! It was the invention of a royal king, originating in the ancient courts of India. Chai is typically prepared with a loose black tea, milk, sugar and water, but the spice combinations are endless. 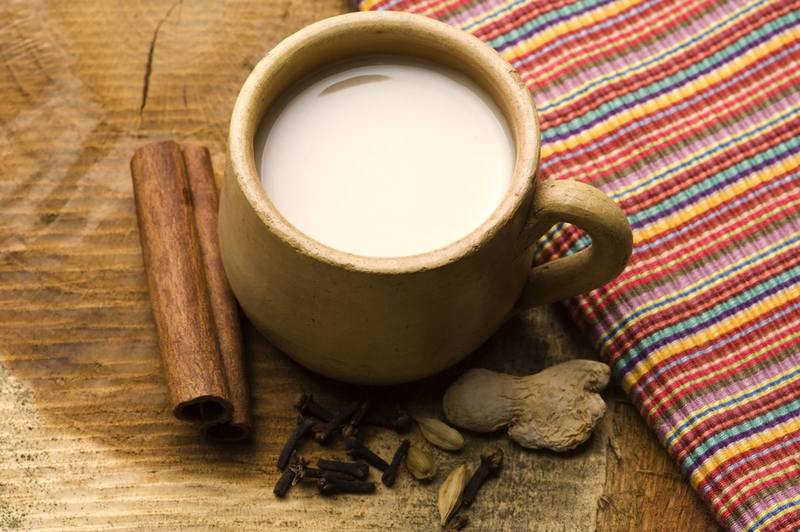 There are many health benefits to chai, as black tea in filled with antioxidants. Some studies suggest drinking it regularly can help to fight cancers, lower blood pressure and cholesterol. Not too bad for you’re morning cup! Today you can find many modern chai mixes in both powder and liquid concentrate forms, but you can always go back in time and make a cup the traditional way. So many varieties for one little (DELICIOUS!) drink! Be sure to check out the article for further fun facts!